Also who wants to hear about a Japanese only game? It was a sad day when it was announced that the life-sized statue of the original Gundam, located in Odaiba, Tokyo, would be torn down. However, it was announced soon after that the new prized mobile suit of the franchise, Unicorn Gundam, would be taking its place. As this is being written, it's being built in the same spot as the original statue, with the goal of being completed this Fall. Photos and videos have since surfaced of the statue and what a treat. 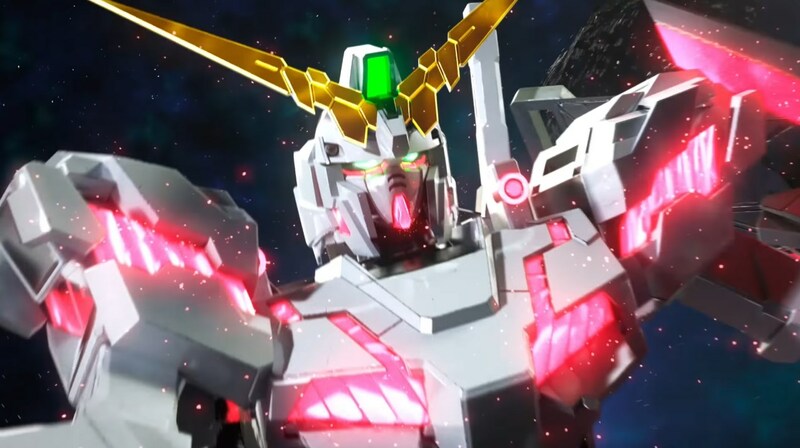 For those that don't know, Unicorn Gundam has two forms: The Unicorn Mode that it is named after and Destroy Mode, where the panels of the machine open up to reveal its true form of a Gundam and reveal the psychoframe within. Don't worry too much about the Gundam lingo, just know it's a very special type of technology in Gundam. You can get an idea of the transformation from the gif below. Concept art for the life-size statue showed the Gundam would be in Destroy Mode. However, recent videos show the construction team testing a very familiar feature. It can transform! Which, while unexpected, is completely awesome. It's unclear if the transformation will be exactly like its animated counterpart, but the fact they're going through with that on a 20-meter-tall statue is an amazing feat. Of course, more photos have trickled out, showing more of the incomplete mobile suit, however there is no footage of the rest of it transforming yet. Give it time and I'm sure more will leak out. It's a giant robot in a country that loves them after all. Now here's a fun little game fact for you. In Japan, about six months after the release of Dark Souls and two months after Armored Core V, Bandai Namco released a game for PlayStation 3 based on the first three episodes of the OVA for Gundam Unicorn. What makes it so special is that the developer for it was From Software, who were the developers for the previously mentioned games. I'm still rather shocked Namco didn't bring this outside of Japan. Dark Souls created a perfect storm that helped make From Software a more known studio, and they were still willing to bring Gundam games over at the time, with Dynasty Warriors Gundam Reborn releasing in 2014. 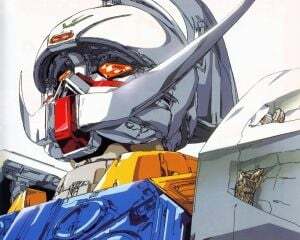 The Gundam Unicorn OVA as a whole was also well received, and was responsible for breathing new life into the Universal Century timeline, the Gundam equivalent of the Marvel Cinematic Universe. I honestly can't find any reason why they wouldn't do it, especially with digital distribution having been around. Fortunately, if you want your game fix for Gundam Unicorn without having to import, you're in luck. The titular mobile suit, along with other mobile suits and characters, will be appearing in the upcoming Gundam Versus, which releases September 29. A beta will also be happening on September 2.